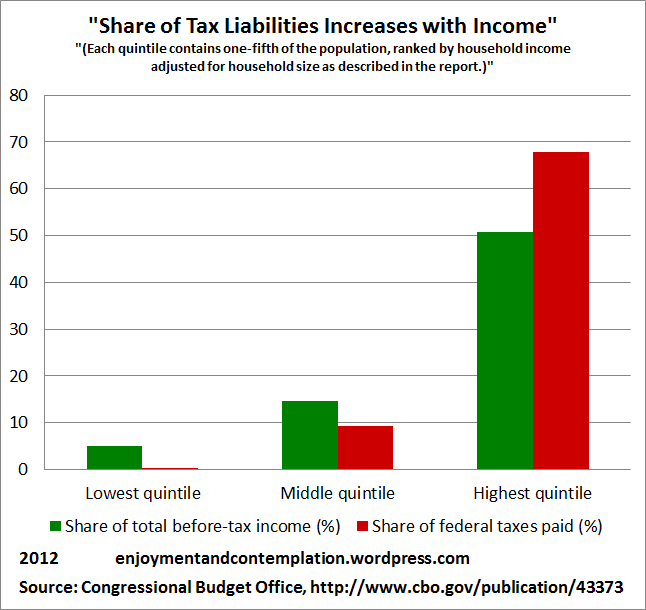 The explanation is that the upper graph represents total federal income taxes paid, while the lower graph represents total federal taxes of all kinds paid, as you can see in the CBO document containing both sets of data. 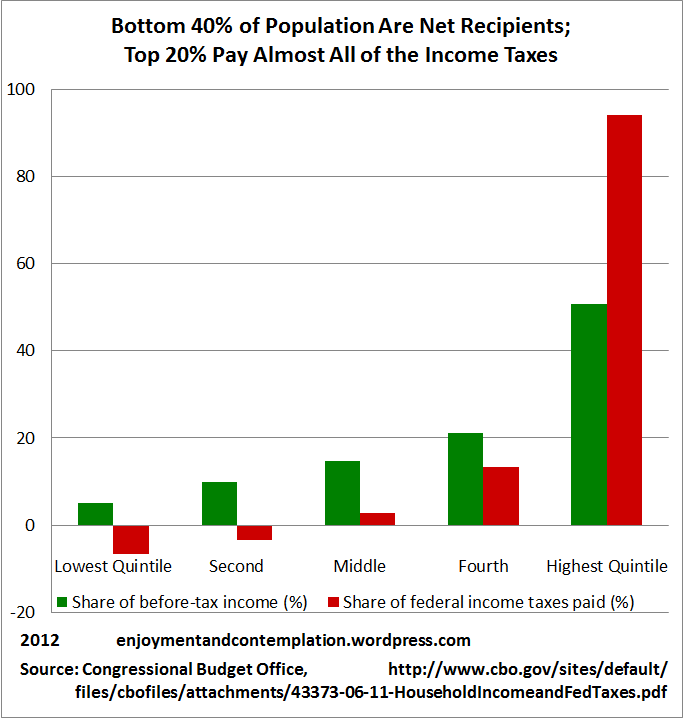 Note that the graph showing the bottom 40% of the population as net recipients, and by how much, seems to reflect only “refundable tax credits”—that is, entitlement-state society would look even more dramatically unhealthy if you included food stamps, “disability” benefits, etc. Thanks to eMatters for the question.